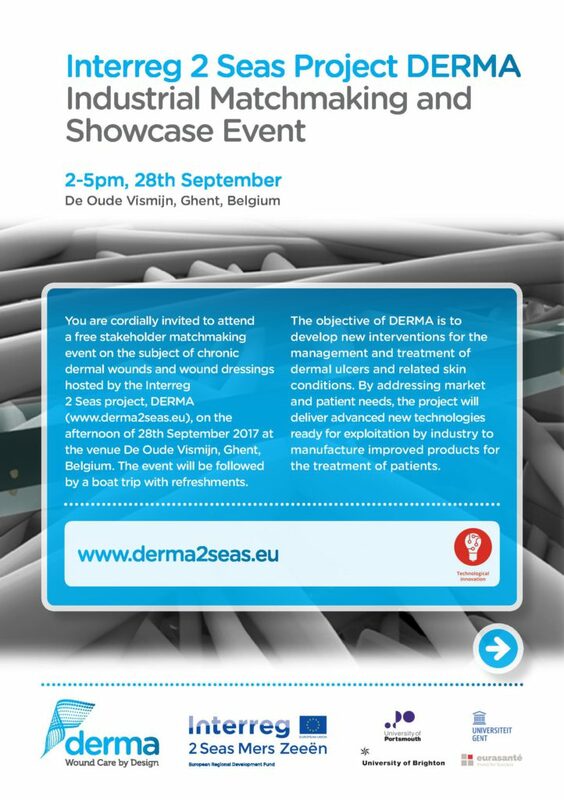 A free stakeholder matchmaking event on the subject of chronic dermal wounds and wound dressings will be hosted by DERMA on the afternoon of 28th September 2017 at the venue De Oude Vismijn, Ghent, Belgium. The event will be followed by a boat trip with refreshments. 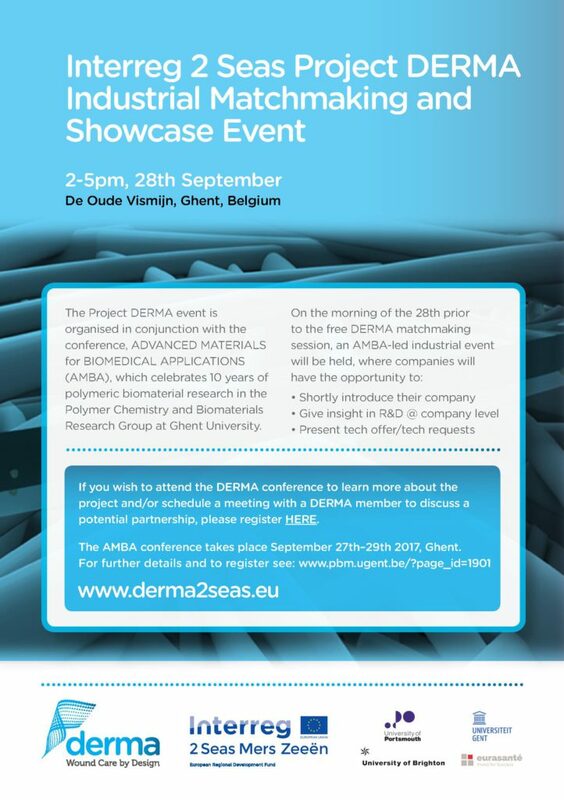 If you wish to attend this Project DERMA event and schedule a meeting with a DERMA partner during the afternoon, please contact us. This event is organised in conjunction with the conference, ADVANCED MATERIALS for BIOMEDICAL APPLICATIONS (AMBA), which celebrates 10 years of polymeric biomaterial research in the Polymer Chemistry and Biomaterials Research Group at Ghent University. The AMBA conference takes place September 27th–29th 2017, Ghent. For further details and to register see: www.pbm.ugent.be/?page_id=1901.